Only 10 months old. Sadly outgrown already. Covered with 2400+ genuine Swarovski crystals. 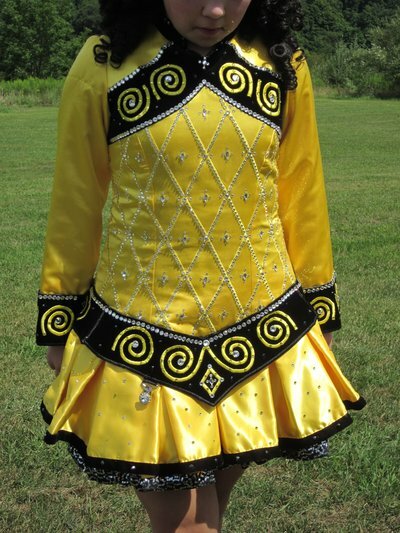 Worn by 5′2″ U14 dancer. Note: Has single snag on right upper arm and zipper slips when doing heavy dancing so we added a button/loop on the collar to keep it up. 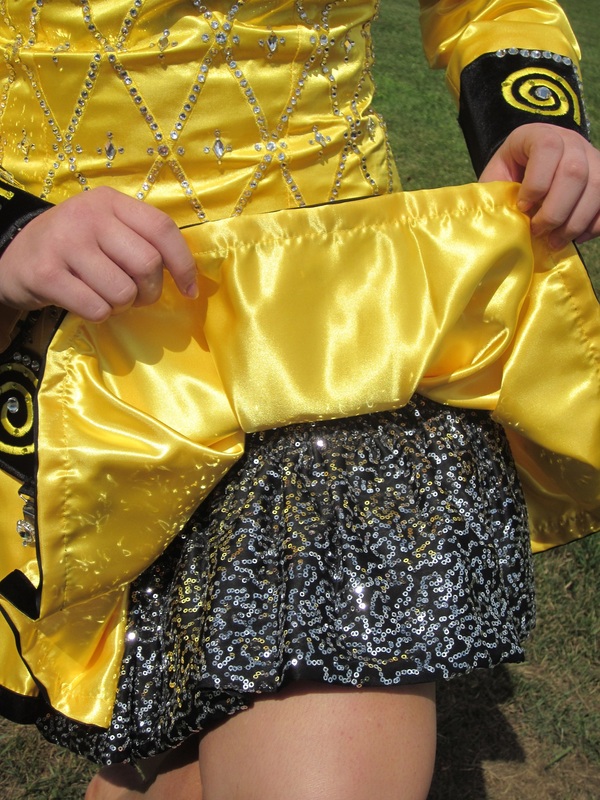 Includes black headband, spankies, and plenty of yellow satin fabric (more than enough to redo arms) and also a good bit of the silver sequin underskirt fabric. Prefer to only ship to Continental US. Measurements taken while dress was flat. 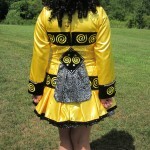 Black velvet cuffs are hand stitched to yellow satin and can easily be moved down an additional 3″ for longer arms. Asking Price: $US699. Shipping costs are not included in the asking price. Will accept returns and refund the cost of the dress, buyer to pay all shipping costs.